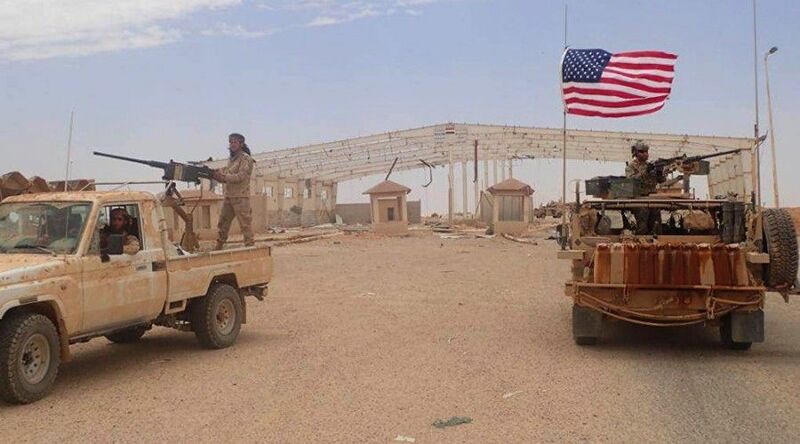 The US-led coalition forces station at Al Tanf base in eastern Homs province began a surprise exercise, the US military has announced. The exercise will involve some 100 US servicemen flying assault helicopters and conducting live fire drills in the 55-km restricted area around Al Tanf. “Our forces will demonstrate the capability to deploy rapidly, assault a target with integrated air and ground forces and conduct rapid exfiltration,” said Capt. William Urban, the chief Central Command spokesman. He also claimed that the exercise will contribute to the Coalition’s capabilities to defend ISIS and will guarantee that the Coalition forces area ready to repel any threat. The US military officials have informed the Russian side about the exercise “to avoid confrontation”, the Coalition’s statement said. This Wednesday, the US military deployed at the Al Tanf base detained members of the delegation from Rukban refugees camp who were headed to a meeting with the representatives of the Syrian government. The residents of the camp struggle to improve their situation, as they blame the US-led International Coalition for failing to deliver on its promises to eradicate terrorism in the area. Dozens of families have already left Rukban due to dreadful living conditions and deteriorating security situation. The refugees headed westward and crossed over to the areas controlled by the Syrian government. In total, during last month 300 families left for Palmyra and Al Qaryatayn, while an equal number headed towards Al Mansoura.